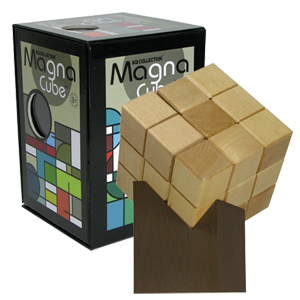 Strategically positioned magnets embedded in the wooden cubes either pull the pieces together or force the puzzle apart. Work with these attracting and opposing forces to solve the puzzle and form a perfect cube. 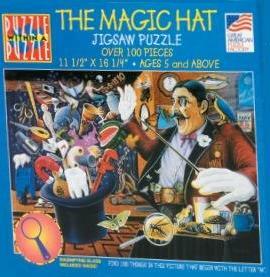 8 wooden puzzle pieces, 1 wooden stand, instructions.